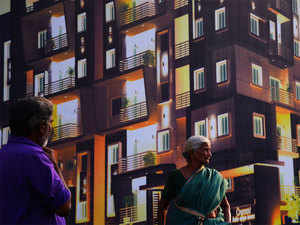 BENGALURU: Hyderabad is attracting large institutional investors like Blackstone, Xanderand Ascendas India Trust as they look to tap the growing commercial market in the region. This growth spurt was largely led by commercial real estate with Xander investing $350 million in Phoenix Group. “The city also surpassed Bengaluru and Chennai, the other two major South Indian cities, in investment inflows,” said Shobhit Agarwal, CEO, ANAROCK Capital. Between 2016 and 2017, the main Southern cities cumulatively saw just 18% (in 2016) and 17% (in 2017) of the total PE investments. This share increased to 54% in 2018 through a series of investments with commercial realty seeing an annual increase of 27% in PE investments. “Hyderabad is one of the easier places for institutional investors to conduct business. 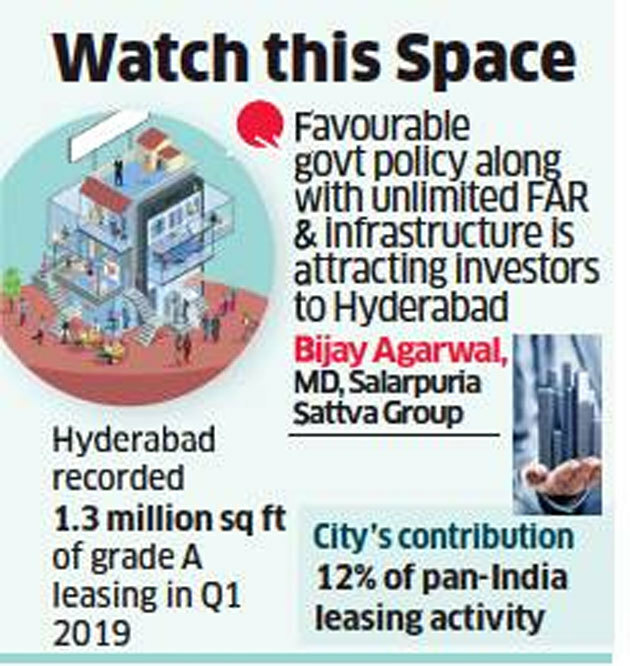 The city has seen a very sharp uptick in leasing in the last four years from 0.4 – 0.5 m sq ft to almost 0.8 m sq ft annually,” said Sanjeev Dasgupta, CEO, Ascendas India Trust. “Hyderabad is one of the important markets for Ascendas,” he added. Ascendas currently has 3.5 m sq ft of redevelopment projects in Hitech city in Hyderabad, which is expected to be completed over the next 6-7 years. The firm has also been acquiring assets through a partnership with Phoenix group. The total assets acquired and properties under development are in excess of 8 million square feet. Hyderabad is expected to witness healthy demand from both technology and flexible workspace operators over the coming years. Robust supply outlook of around 40 million sq ft over the next three years suggests developers are capitalising on the buoyant demand, said Colliers India Research.